Italian Mario Balotelli has described his match-winning performance in Italy's Euro 2012 semi-final victory over Germany as "the best night of my life". The 21-year-old Manchester City striker scored two first-half goals to set the platform for the 2-1 win, dedicating the victory to his adopted mum Silvia. "This was the greatest night of my life and I hope Sunday will be better," Balotelli said. 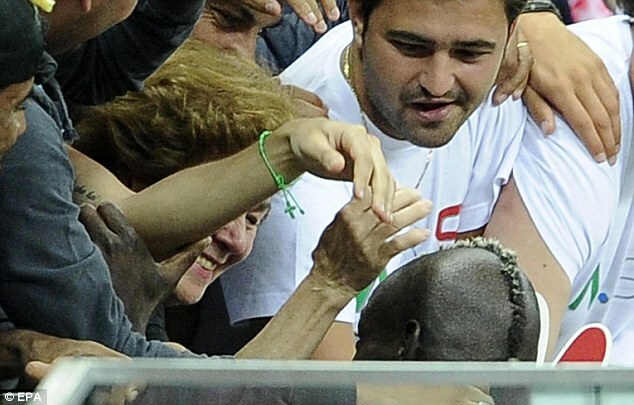 At the final whistle, Balotelli sought out his family and embraced them in the stands. "At the end of the game I went to my mother - that was the best moment," he added. "I told her these goals were for her. I waited a long time for this moment, especially as my mother is not young anymore and can't travel far, so I had to make her happy when she came all the way here. My father will be in Kiev for the final too." Italy now meet Spain for the second time in the tournament, having played out a 1-1 draw in the group stages. 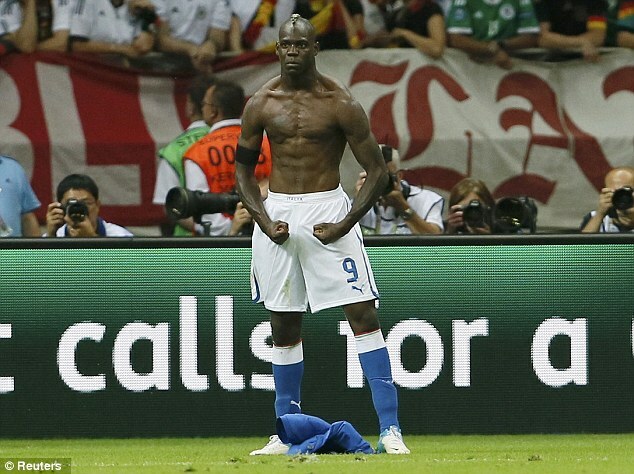 And Balotelli believes that, despite Germany's lacklustre performance, the Azzurri are in the final on merit. Italy coach Cesare Prandelli said Balotelli's performance had proved he had developed into a team player and not just an individual.